Recently, analyst house Gartner, Inc. released their 2019 Magic Quadrant for Application Performance Monitoring. Gartner defines application performance monitoring (APM) suites as “one or more software components that facilitate application monitoring to meet three main functional dimensions.” Those three functions are digital experience monitoring (DEM), application discovery, tracing and diagnostics (ADTD), and artifical intelligence for IT operations (AIOps). Gartner anticipates that enterprises will quadruple their APM functionality through 2021 to cover the increasing amount of digitized business capabilities. They expect that APM suites will cover 20% of all business applications by this time. To help evaluate the growing market for APM tools, Gartner assembled the Magic Quadrant to analyze and rank 12 APM vendors based on the completeness of their vision and their ability to execute. 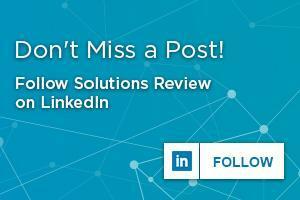 We at Solutions Review read the report, available here, and analyzed what’s changed in the APM market since last year’s Magic Quadrant. Gartner’s Magic Quadrants are broken down into 4 categories: Leaders, Challengers, Visionaries, and Niche Players. Each vendor is placed on the quadrant based on their strengths, weaknesses, market share, and user reviews, among other metrics. The 12 vendors that Gartner analyzed for this Magic Quadrant are Broadcom (CA Technologies), Cisco (AppDynamics), Dynatrace, IBM, ManageEngine, Micro Focus, Microsoft, New Relic, Oracle, Riverbed, SolarWinds, and Tingyun. Typically, you see a lot of movement of vendors among quadrants, especially in recent or developing markets. However, the 2019 APM Magic Quadrant has stayed astonishingly consistent with last year’s report. In terms of vendor placement, the Leaders and Challengers categories remain unchanged. Broadcom, Cisco, Dynatrace, and New Relic maintain their Leader position, while IBM, Microsoft, Oracle, and Riverbed are still Gartner’s Challengers. Conversely, the Visionaries quadrant has no vendors in it, just like last year. The only changes in vendor placement is in the Niche Players category, which saw the addition of Micro Focus after they acquired the software division of HPE in 2017. The quadrant also saw the removal of three vendors from last year: BMC, Correlsense, and Nastel Technologies. BMC is no longer offering an APM tool, while Correlsense and Nastel didn’t meet Gartner’s inclusion requirements this year. What does the empty Visionary quadrant mean? The lack of Visionaries suggests that the APM market is currently stagnant in terms of development. Potentially, this could indicate that the current APM solutions are currently fully equipped to deal with developing problems. Do the current APM Leaders have a firm grasp on the market’s problems? Considering that all Leaders except for Broadcom have been named so for at least seven consecutive years, it’s definitely a possibility. Unless some new developments in the market come about, we don’t expect that next year’s Magic Quadrant will change much. Gartner concluded that new APM vendors continue to prop up, indicating that the market is healthy despite the lack of change in the quadrants. However, they noted that upcoming APM vendors need to do more than just the bare minimum. New vendors need to introduce fresh capabilities or focus strongly on a specific niche in order to compete with established providers. In their research, Gartner uncovered a trend that APM vendors increasing their monitoring functionality across all spectrums. 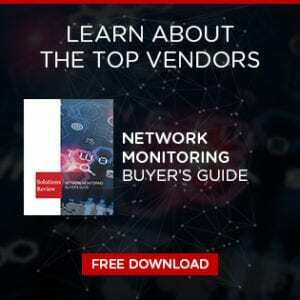 Vendors are currently focused on providing all-in-one monitoring suites to cover performance analysis across several areas, including applications, networks, databases, and servers. By broadening their monitoring capabilities, these vendors want to capitalize every monitoring market they can. Gartner suggests that enterprise choose carefully between an all-in-one tool suite for all their monitoring needs or cherry-picking the best of each monitoring solution sector. 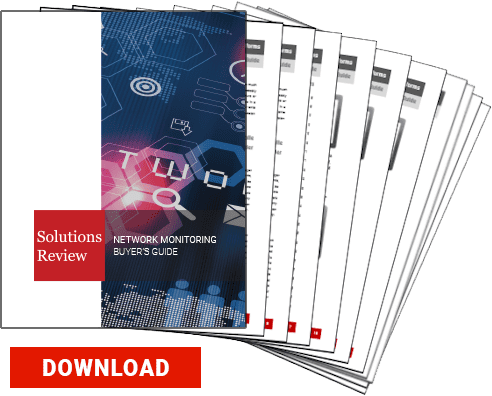 Our Network Monitoring Buyer’s Guide contains profiles on the top network performance monitor vendors, as well as questions you should ask providers and yourself before buying. Check us out on Twitter for the latest in NetMon news and developments!